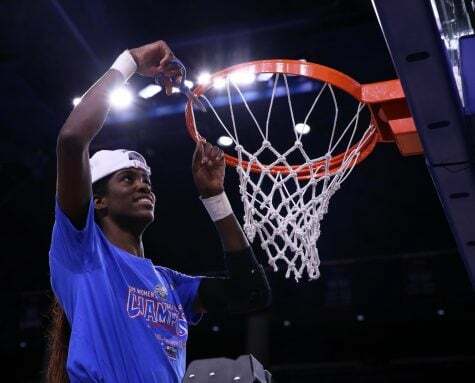 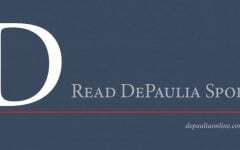 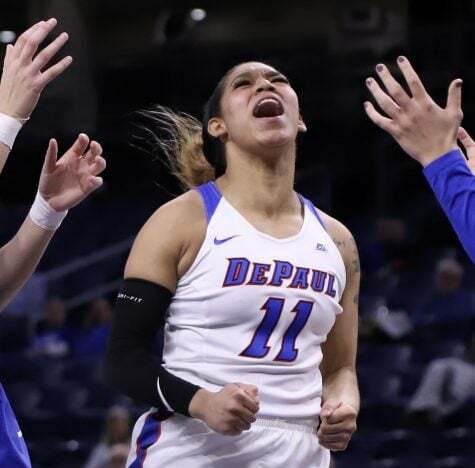 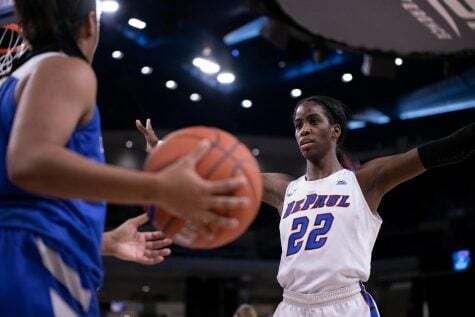 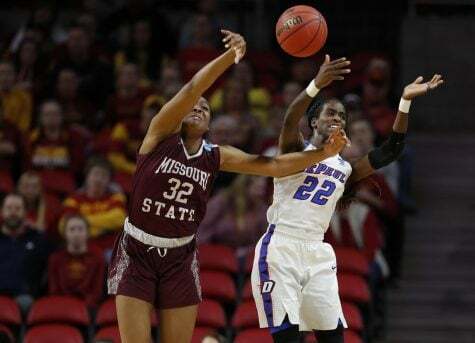 MILWAUKEE – DePaul women’s basketball got the revenge they were looking for in Monday night’s 59-41 rock-fight with St. Johns, sending the Blue Demons into their third championship appearance in four years. 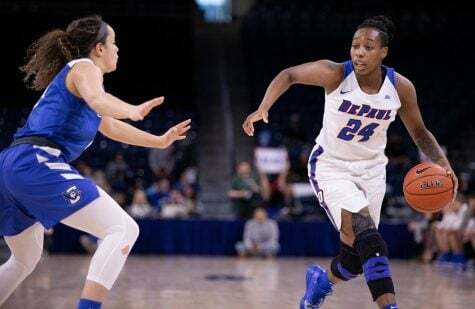 The Blue Demons got off to a slow start on offense, struggling to navigate around a stingy defensive effort from the Red Storm. After a Jessica January layup in the first minute, DePaul played over four minutes without scoring a single point. 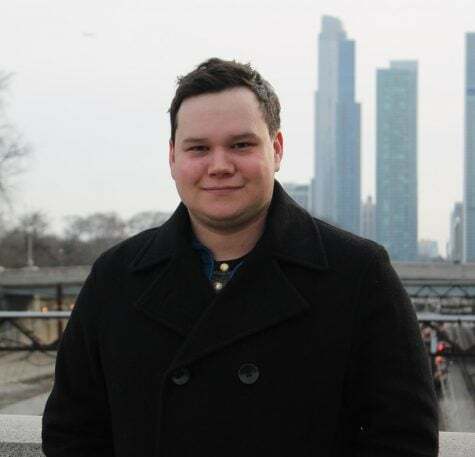 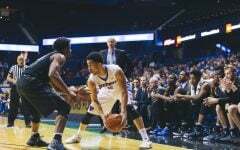 St. Johns was one of only two teams to hold DePaul under 60 points in the regular season, the other being the University of Connecticut Huskies, who are currently sitting on a 107-game winning streak. 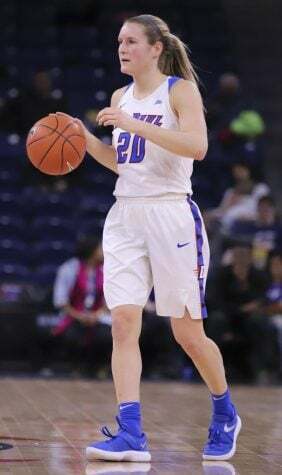 Jessica January hit a three-pointer with 3:42 left in the first quarter and the no.1 seed seemed to get things rolling from there, but still managed only 12 points in the first quarter, hanging onto a three-point lead through 10 minutes. 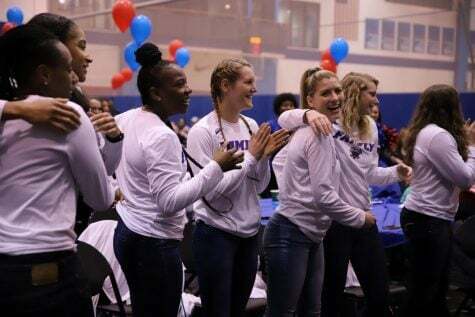 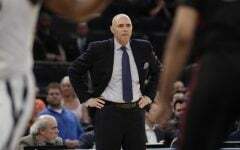 “We kind of had a choppy game offensively, and I think everyone did a good job of being aggressive and trying to take advantage of the easy opportunities we did have,” January said. 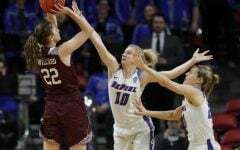 In a game defined by the defensive efforts on both sides, January was virtually the only player to put a dent in the stat sheet with a game-high 20 points (her fifth 20+ point performance in a season cut short by injury), leaving room for Lauren Prochaska to take control at the point and make a more notable impact on defense. 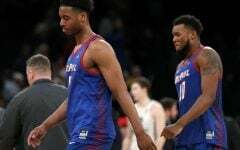 Having successfully avoided a repeat of last year’s heartbreaking semi-final loss to St. Johns, the top-seeded Blue Demons look ahead to a matchup with the Marquette Golden Eagles in the Big East Tournament championship. 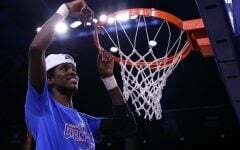 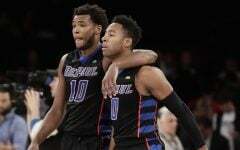 DePaul has a 2-0 record in their championship game appearances, and a 4-0 tournament record against Marquette, but the Golden Eagles present a unique challenge being the only team to beat the Blue Demons in conference play this season – and they did it twice. 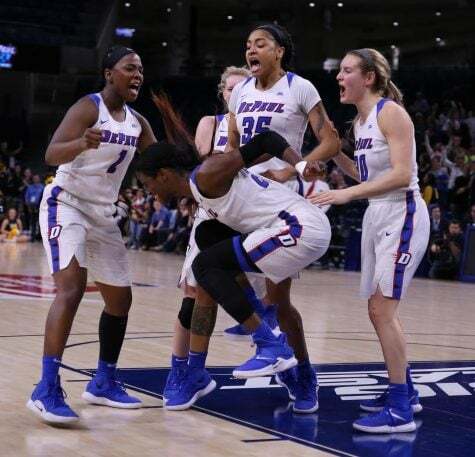 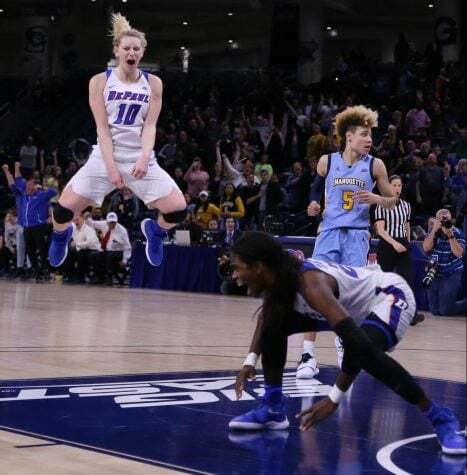 The Blue Demons will play Marquette one more time for the women’s Big East Tournament championship, tomorrow at 7:00 pm CT at the Al McGuire Center – televised on FS1.